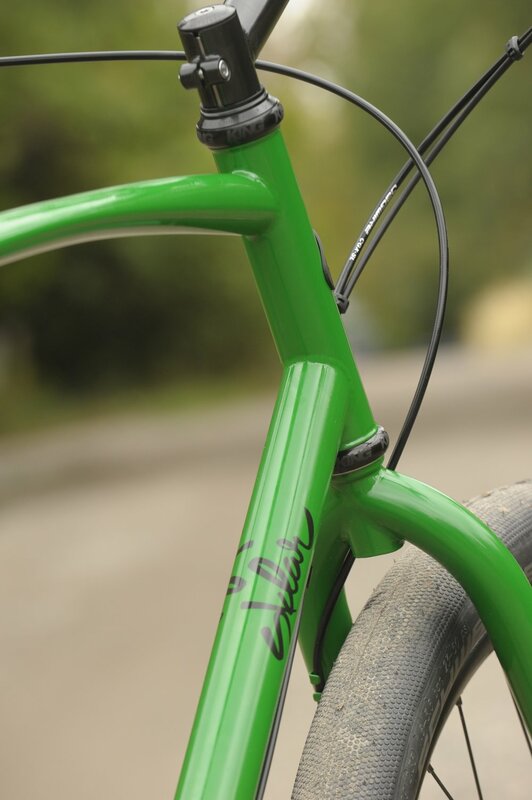 Max's SuperMüter — Sklar | Handmade Bicycle Frames. Mountain, Cyclocross bikes built to order. It's easy to forget about your commuter bike, to just throw something together and make it work. If you are like me, then you get out to ride most days, but the number of miles you put on your commuter bike outnumber or rival what you put on even your most purpose built bikes. Max plans to use this bike for cruising around Bozeman's sunny streets (with some nobby tires in the winter time). This bike was also built with touring in mind. High volume tires (The Schwalbe G-one as pictured) will make it a versatile ride on paved or gravel roads, or even singletrack and rough trail. A really versatile ride indeed!